Ryan Gosling says he struggled to connect to the remarkable life of astronaut Neil Armstrong as he prepared for the historical drama First Man. But he finally found a way in through an unlikely source — the eerie, other-worldly sound of the theremin, a musical instrument beloved by Armstrong. The London, Ont.-born movie star elicited chuckles from a news conference at the Toronto International Film Festival on Tuesday when he recounted discovering a favourite song of Armstrong's that featured the unusual-sounding instrument. "The theremin was actually a really big find, personally, because I was looking for points of connection with Neil," said Gosling. "And it was hard to relate to his genius, his courage, his humility — those were so extraordinary. I was looking for things that we had in common and we had the theremin." Gosling is drawing raves for his portrayal of the taciturn astronaut in First Man, which reunites him with his La La Land director Damien Chazelle. In this video, Ryan Gosling shares why Neil Armstrong's life "deserves the closer look" given in First Man. The two were among a star-packed news conference that also included co-stars Corey Stall, Kyle Chandler, Olivia Hamilton and Claire Foy. Also on hand were Armstrong's sons Rick and Mark Armstrong, who said they were impressed by the authentic portrayal of their father and family. Their mother Janet, portrayed in the film by Foy, died just a few months ago. "I've seen the movie four or five times now and I saw it again last night and I'm still crying," said Mark, who appears briefly in the film, along with his brother. "My wife has a tissue and she very quietly hands it to me and I try to make sure nobody's noticing but that's the impact of these performances at a personal level. I think that really speaks to how authentic the movie is." 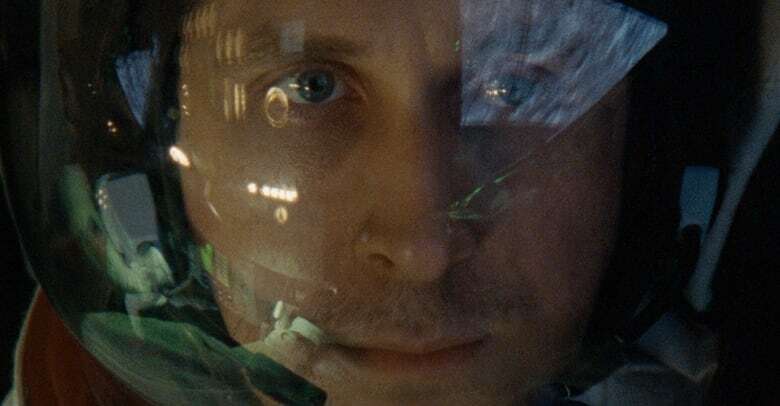 Chazelle says he originally pitched the film as a "mission movie" about the eight-year span from the moment U.S. President John F. Kennedy vowed to reach the moon, to the moment Armstrong set foot in July 1969. But he soon recognized that grief was a personal catalyst for Armstrong, noting that his young daughter died in the early 1960s. "Ryan really connected to that aspect of the story even more so and I think it pushed me and [screenwriter] Josh [Singer] to dig into that deeper," said Chazelle. "As the moon landing is such a hard-to-fathom event you wind up turning to mythology to process it. [There's] just something about that idea of someone who loses someone he loves and travels where humans, mortals, aren't supposed to travel, basically travels beyond the beyond. "And whether it's to Hades or to the underworld or to the moon, this idea of going across the other side in order to maybe find some solace just seemed like a beautiful metaphor for us to bake into our approach." Key for Chazelle was capturing what he saw as two sides of the Apollo program. "These were machines that were built by hand, [and] people putting their lives at risk and hurtling off into outer space in a way that it seems outstanding that it ever worked, you know. That any of them ever came back alive is mind boggling," he said. "And yet you can't deny the spiritual dimension to what happened."